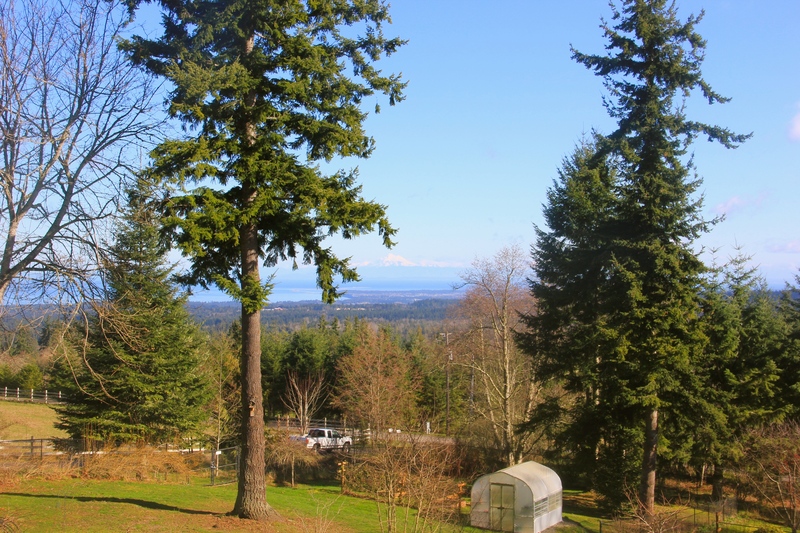 Today is a doors-wide-open, stunning late winter day. After a couple of weeks away from Coppertop enjoying family in both sunny and icy climes, it’s great to be back. 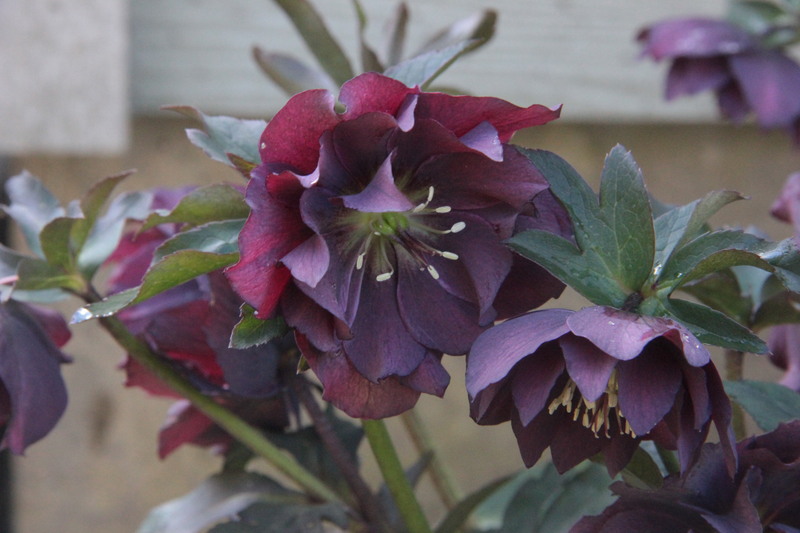 February 2015 seems at least a few weeks ahead of the same time last year in garden progress. 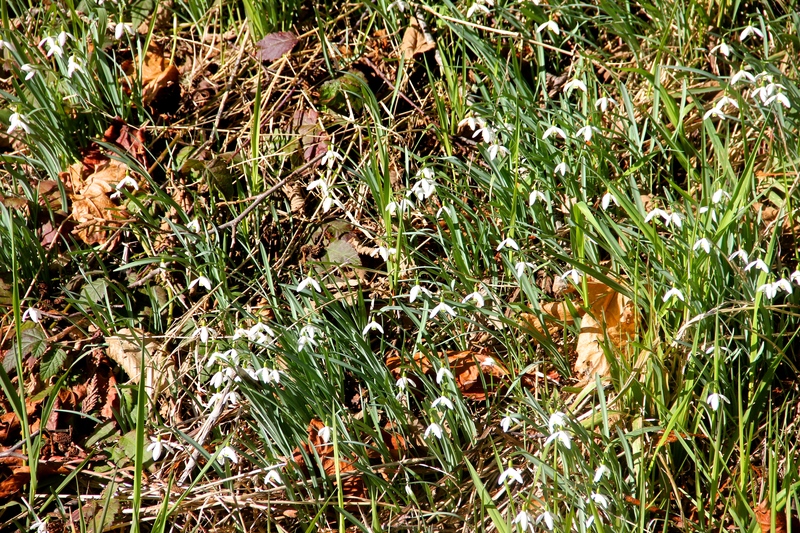 Sweet snowdrops cover the hillside along the driveway. 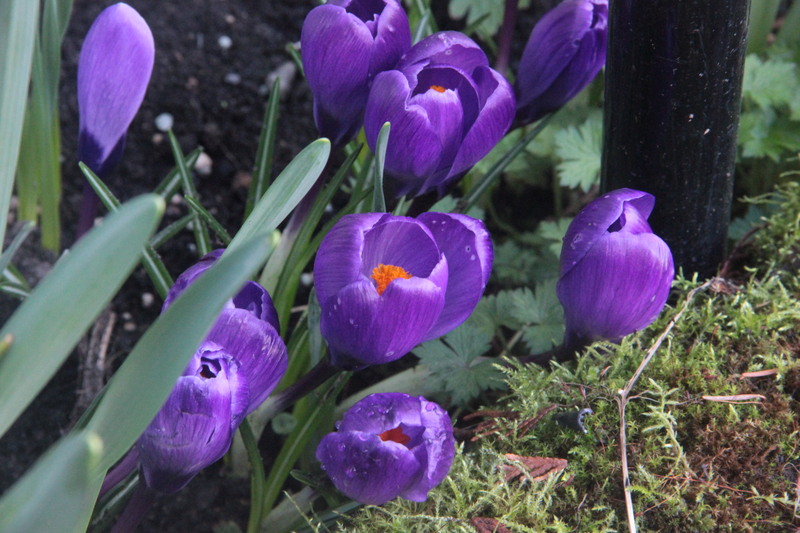 Crocus are in full bloom at the front and south side of the house. 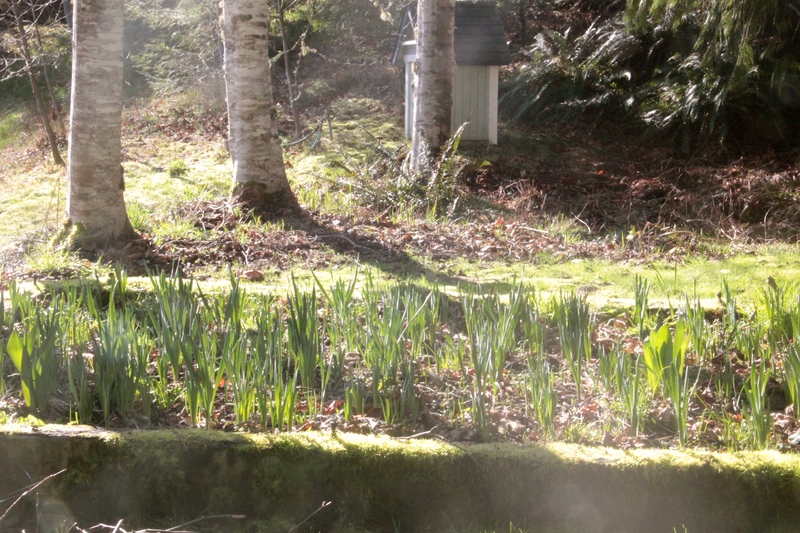 Up along the forest’s edge, the old foundation filled with daffodil bulbs is ready to burst into color. 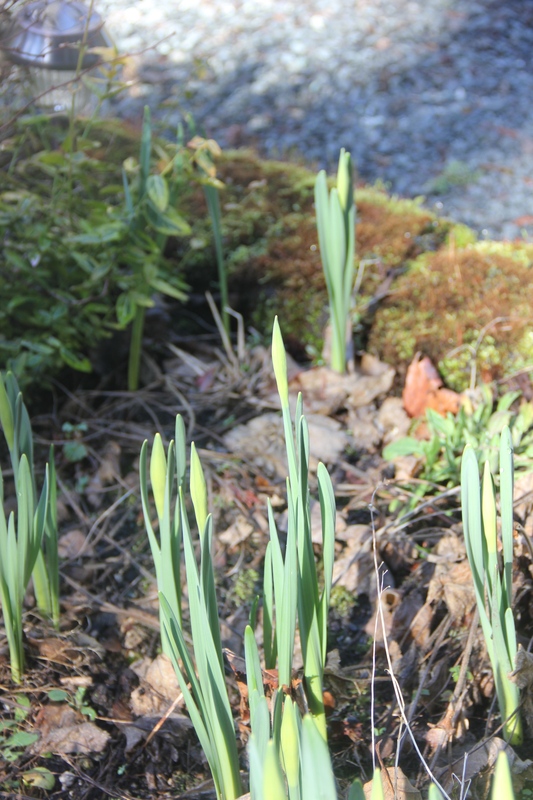 More daffodils near the front door are plump and ready to open any day. 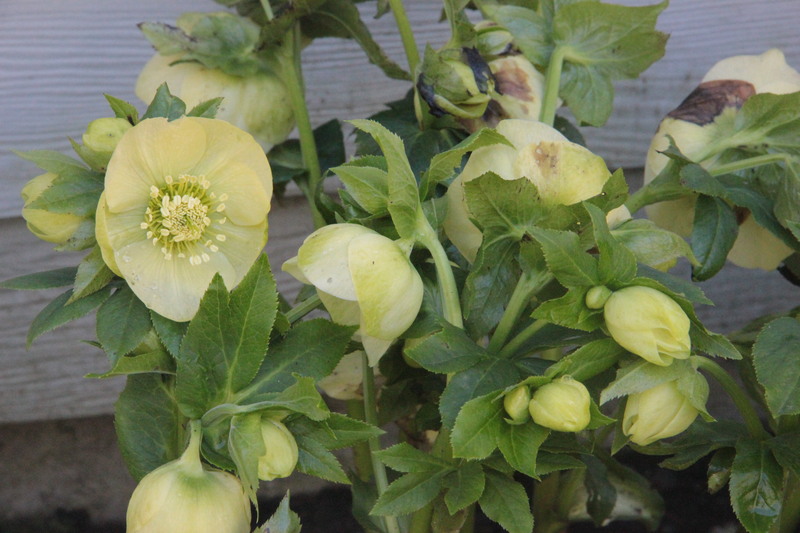 Lovely varieties of one of my favorite, faithful genera, Helleborus or Lenten roses, are blooming along the gravel stairway at the north side of the house. 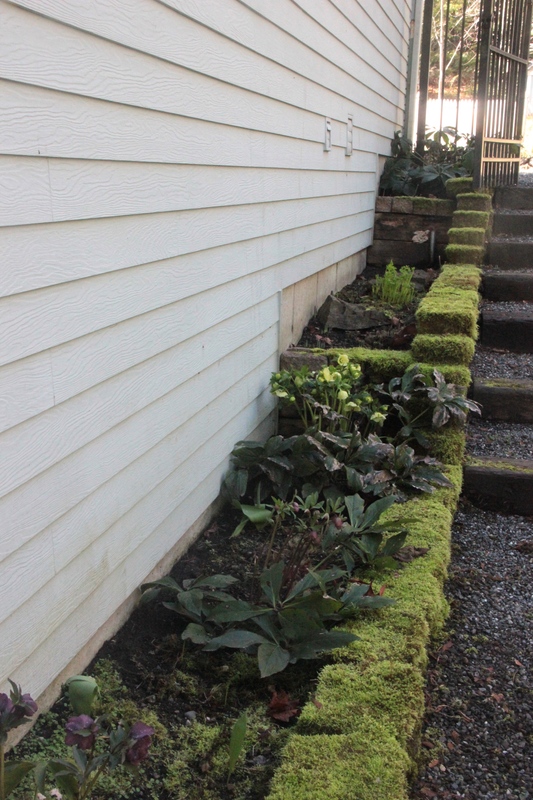 I look forward to the hellebores, dicentra, and hosta filling and spilling from these shady beds soon. 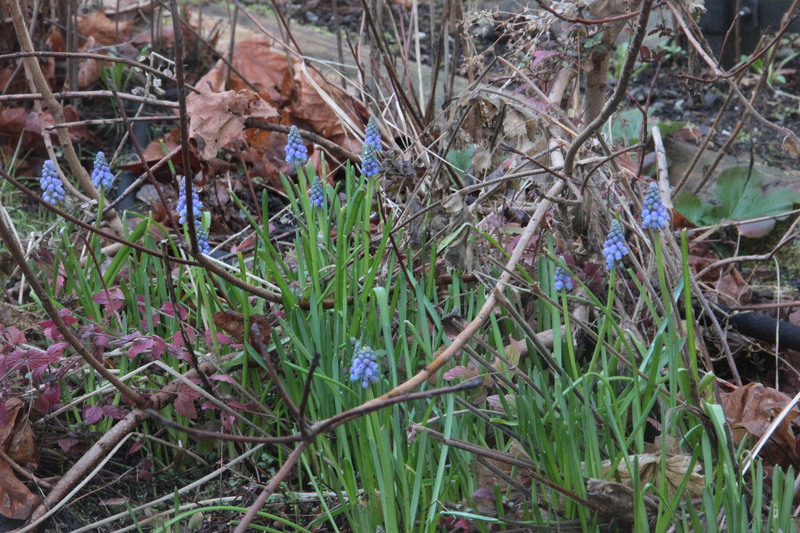 The Muscari or grape hyacinth are way ahead of schedule due to our mild January, and some have begun blooming opposite the hellebores. 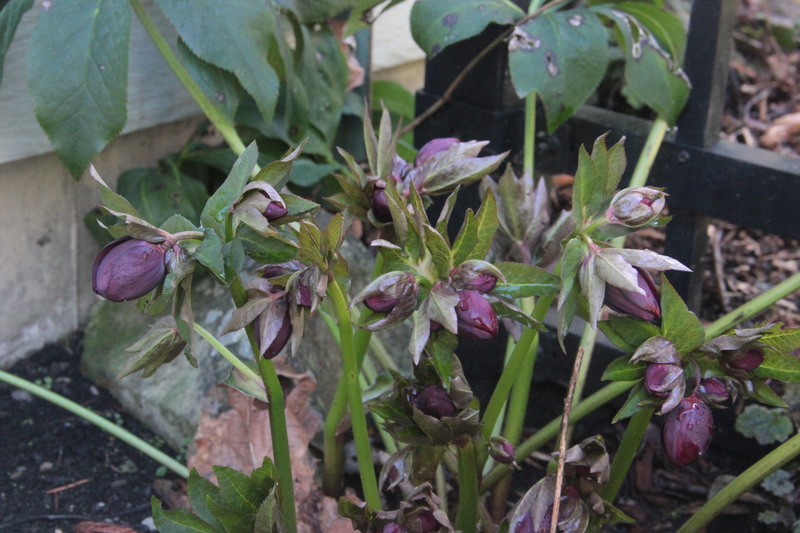 And near the front door, the larger Hyacinth orientalis bulbs have already broken through the soil. 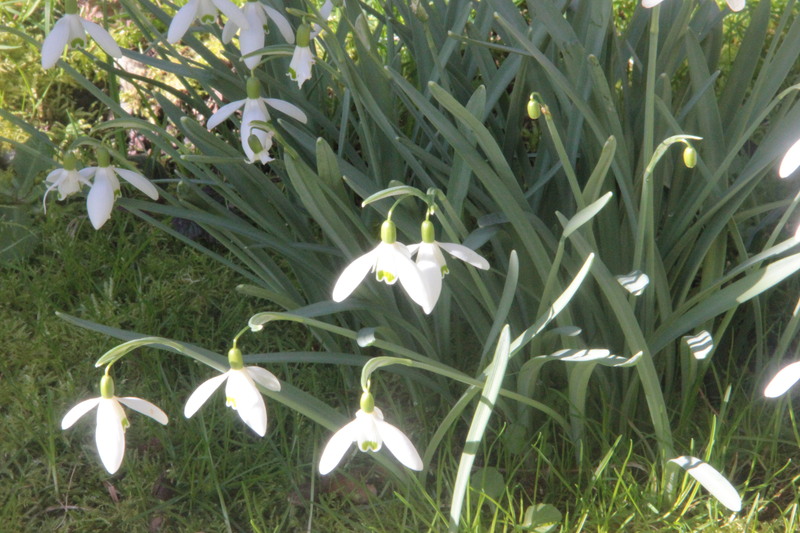 These didn’t bloom until mid-April in 2014. 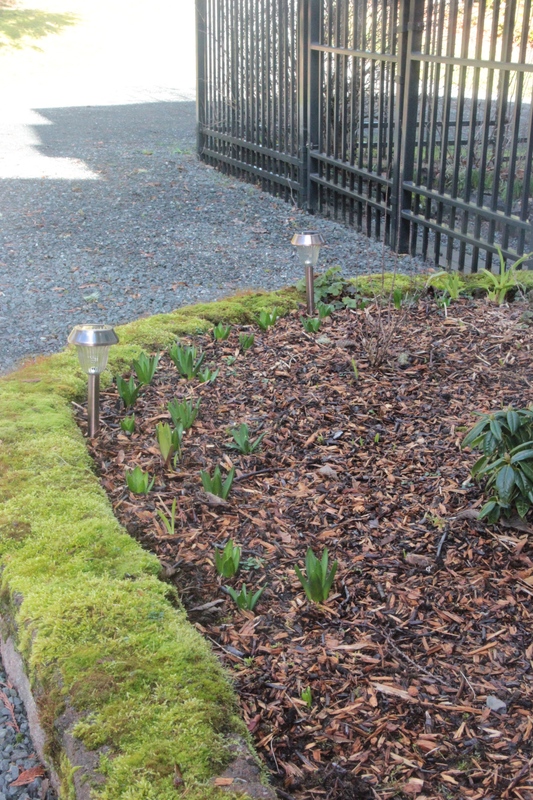 This entry was tagged Coppertop, crocus, daffodils, foundation, hellebores, Lenten rose, muscari, Olympic Peninsula, snowdrops, spring bulbs, Western Washington. Bookmark the permalink. One good reason for moving west! Thanks for the uplifting pictures. I live in hope. 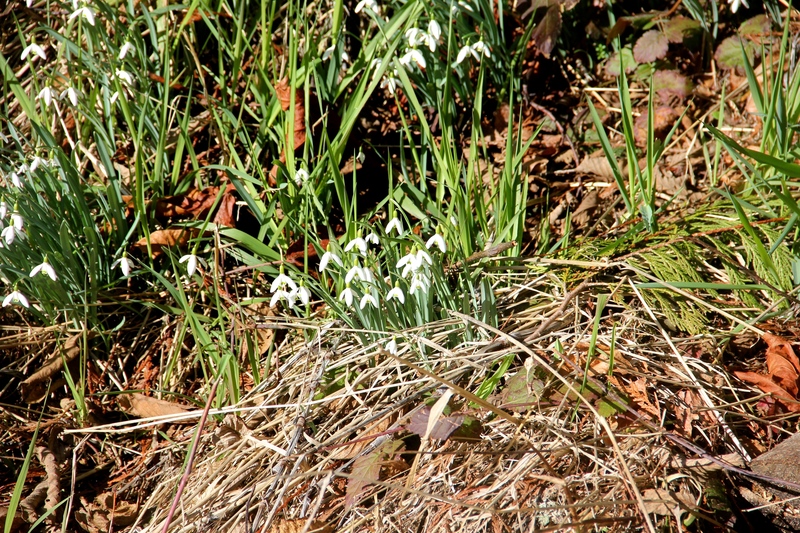 Yes, spring is right around the bend — for everyone! Stay cozy, Cynthia.